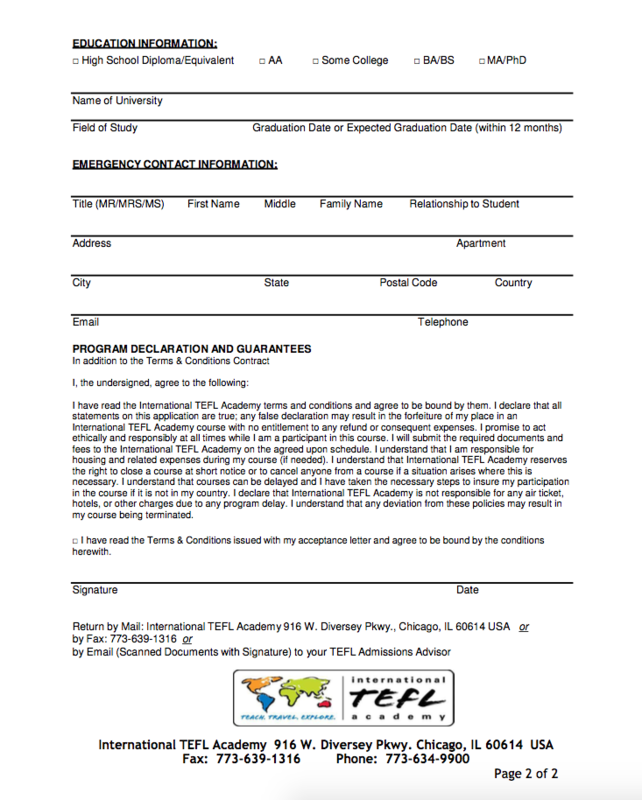 Note: The Terms and Conditions & the Registration Form are both required for all students to read, sign and submit to our World Headquarters office in Chicago prior to starting any International TEFL Academy TEFL class. Online students will not be allowed to start course without this document and class tuition payment accepted. Students enrolled in our International Onsite locations will not be put in contact with our director in country until this document and registration document is completed and submitted. All students should read our Registration Procedures prior to enrollment. To complete your registration you must complete and submit the following documents electronically: Registration Documents. You can review these documents below. 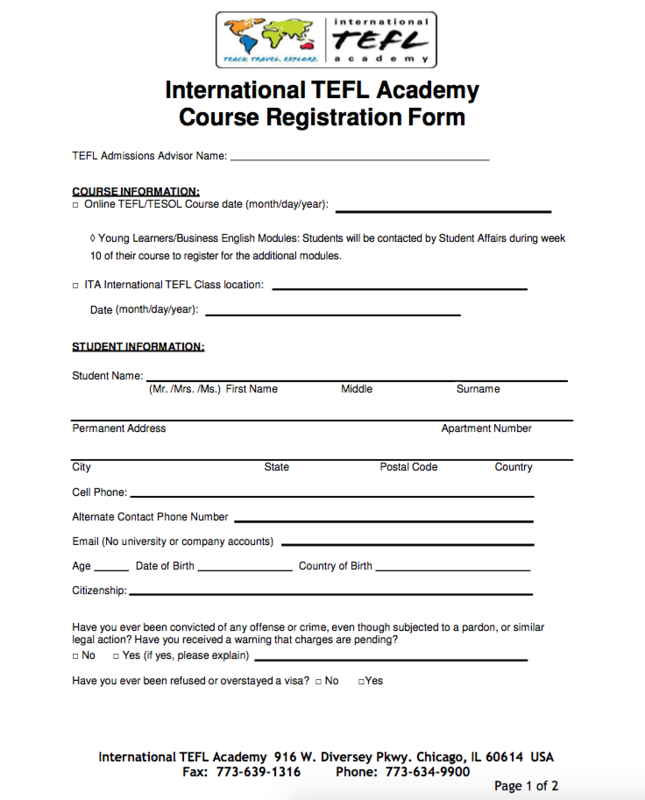 The TERMS AND CONDITIONS is between (“Student’s Name”) and International TEFL Academy. This TERMS AND CONDITIONS shall cover the full scope of our services to you. We assume no responsibility outside of the administration and management of the TEFL/TESOL training course. (A) These terms and conditions (these "Terms") are the only terms that govern the provision of services by INTERNATIONAL TEFL ACADEMY, INC. ("ITA") to purchasers of services from ITA (each such purchaser is referred to herein as "Student"). (B) The accompanying order confirmation (the "Order Confirmation") and these Terms (together, this "Agreement") comprise the entire agreement between the parties and supersede all prior or contemporaneous understandings, agreements, negotiations, representations and warranties, and communications, both written and oral. In the event of any conflict between these Terms and the Order Confirmation, these Terms shall govern, except to the extent the Order Confirmation expressly states that the terms and conditions of the Order Confirmation shall control. 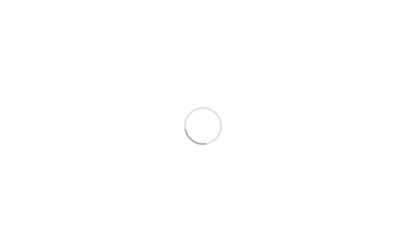 (A) Description of Services. ITA will provide the services to Student as described in the Order Confirmation, along with the job search guidance described below (collectively, the "Services") subject to these Terms. (B) Job Search Guidance. As an accommodation to Student, ITA may, from time to time provide guidance to help Student search for an English teaching job upon such terms and conditions as ITA may implement or modify from time to time; provided, however, that (i) ITA is not a job placement organization and will only provide general guidance and advice, (ii) ITA disclaims all warranties regarding Student's job search experience, including, without limitation, the quality or conditions of any employment or agreement with any school, recruiter, or other person, and (iii) obtaining, evaluating, and accepting employment is solely the responsibility of Student, and not of ITA. (A) 170-Hour Online Course Requirements. In order for Student to earn a TEFL/TESOL Certificate through ITA's online platform ("170-Hour Online Course"), Student must complete at least 150 hours of online coursework and 20 hours of TEFL practicum, and such other requirements as may be required from time to time by ITA and the applicable TEFL/TESOL accrediting body. The TEFL practicum consists of at least twenty (20) hours in the aggregate of a combination of teaching, tutoring, or observation, of which at least six (6) hours must consist of teaching or tutoring. Student shall have ultimate responsibility for arranging and providing verification of completion of such practicum. If Student does not complete the practicum requirement and provide ITA with verification thereof within 365 days of Student's 170-Hour Online Course end date, Student must pay a $250.00 transfer fee, and must retake the 170-Hour Online Course in its entirety to earn a certificate. There are no required printed materials to purchase for a 170-Hour Online Course. (B) Specialty Courses. While Student is enrolled in a 170-Hour Online Course, Student may also enroll in additional online specialty courses, such as a business specialty course, or a young learners specialty course (each, a "Specialty Course"). Additional fees may apply. Student must complete the 170-Hour Online Course with a passing grade in order to participate in any Specialty Course. (A) In-Person Course Requirements. In order for Student to earn a TEFL/TESOL Certificate through a course taught in person by ITA or an affiliate of ITA ("In-Person Course"), Student must complete all coursework and requirements as may be required from time to time by ITA, the affiliate, and the applicable TEFL/TESOL accrediting body. (B) Specialty Courses. While Student is enrolled in an In-Person Course, Student may also enroll in Specialty Courses. Additional fees may apply. Student must complete the In-Person Course with a passing grade in order to participate in any Specialty Course. (C) NOTWITHSTANDING ANYTHING ELSE, ITA RESERVES THE RIGHT, IN ITS SOLE DISCRETION, TO REJECT OR DISMISS STUDENT FROM ANY COURSE BASED ON, BUT NOT LIMITED TO, CLASS PERFORMANCE, FAILURE TO COMPLY WITH THE COURSE SYLLABUS, BEHAVIOR, OR ANY OTHER INAPPROPRIATE ACTION THAT MAY NEGATIVELY IMPACT THE EXPERIENCE OF STUDENT'S CLASSMATES OR INSTRUCTOR. SHOULD STUDENT BE REJECTED OR DISMISSED FROM CLASS, ITA SHALL HAVE NO OBLIGATION TO ISSUE ANY REFUND TO STUDENT. (A) General Payment Terms. In consideration of the provision of the Services by ITA and the rights granted to Student under this Agreement, except as set forth in these Terms, Student shall pay to ITA the fees in the amounts and at the times set forth in the Order Confirmation. In the event payments are not received by ITA when due, ITA may suspend performance for all Services until payment has been made in full, and Student's place in a particular course may be transferred to another student. Student will not receive job search guidance until Student has paid all applicable fees in full. (i) Student shall pay to ITA a course deposit, in an amount specified by ITA, which shall include a nonrefundable administrative fee of $250, at the time Student registers for the course. (ii) Student shall pay the outstanding balance at least 30 days before the applicable course start date. For courses operated by ITA, the outstanding balance shall be paid to ITA. For courses operated by any party other than ITA, the outstanding balance shall be paid to such other party. (C) Specific Terms for 170-Hour Online All applicable fees for 170-Hour Online Courses shall be paid no later than 14 days before the end of the 170-Hour Online Course. (D) Specific Terms for Visa Program. Upon Student's enrollment in a visa assistance program offered by ITA, Student shall pay to ITA a nonrefundable administrative fee of $200 at the time Student registers for the program, plus such additional fees at such times and in such amounts as may be set forth in the Order Confirmation. (i) Student will receive 100% of the amount paid to ITA (excluding nonrefundable fees) if Student withdraws or cancels at least 90 days before the start date of the earliest course for which Student has enrolled. (ii) Student will receive 50% of the amount paid to ITA (excluding nonrefundable fees) if Student withdraws or cancels between 61-89 days before the start date of the earliest course for which Student has enrolled. (iii) Student will receive 25% of the amount paid to ITA (excluding nonrefundable fees) if Student withdraws or cancels between 30-60 days before the start date of the earliest course for which Student has enrolled. (iv) Student will receive no refund if Student withdraws or cancels 29 or fewer days before the start date of the earliest course for which Student has enrolled. (i) Student will receive 90% of the amount paid to ITA if Student withdraws or cancels at least 31 days before the start date of the earliest course for which Student has enrolled. (ii) Student will receive 50% of the amount paid to ITA if Student withdraws or cancels between 8-30 days before the start date of the earliest course for which Student has enrolled. (iii) Student will receive 25% of the amount paid to ITA if Student withdraws or cancels between 1-7 days before the start date of the earliest course for which Student has enrolled. (iv) Student will receive no refund if Student withdraws or cancels on or after the start date of the earliest course for which Student has enrolled. (i) If Student withdraws from or cancels a Specialty Course because of Student's cancellation of, or failure to pass, an In-Person Course or a 170-Hour Online Course, Student will receive 100% of the amount paid to ITA for the Specialty Course after ITA verifies, to ITA's reasonable satisfaction, Student's cancellation or failure to pass. (a) Student will receive 50% of the amount paid to ITA for the Specialty Course if Student withdraws or cancels at least 31 days before the start date of the earliest Specialty Course for which Student has enrolled. (b) Student will receive 25% of the amount paid to ITA for the Specialty Course if Student withdraws or cancels between 1-30 days before the start date of the earliest Specialty Course for which Student has enrolled. (c) Student will receive no refund if Student withdraws or cancels on or after the start date of the earliest Specialty Course for which Student has enrolled. (D) Refunds for Visa Denial. If Student enrolls in a visa program offered by ITA or an In-Person Course that requires a foreign government to issue a visa to Student in order to participate, Student will be entitled to a refund of all fees paid to ITA by Student in the event the applicable government denies Student's visa application. (i) To transfer to an In-Person Course hosted by a school other than ITA, Student must pay in full any unpaid tuition balance directly to the other school, and pay the applicable course transfer fee directly to ITA. (ii) To transfer to an In-Person Course located in Chicago, Illinois, Student must pay in full any unpaid tuition balance plus the applicable course transfer fee directly to ITA. (iii) To transfer to a 170-Hour Online Course, Student must pay in full any unpaid tuition balance, and the applicable course transfer fee, directly to ITA. (a) If Student transfers at least 60 days before the start date of the earliest course for which Student has enrolled, Student will owe no transfer fee. (b) If Student transfers between 30-59 days before the start date of the earliest course for which Student has enrolled, Student must pay a transfer fee of $100. (c) If Student transfers 29 or fewer days before the start date of the earliest course for which Student has enrolled, Student must pay a transfer fee of $250. (i) If Student transfers at least 15 days before the start date of the earliest course for which Student has enrolled, Student will owe no transfer fee. (ii) If Student transfers between 1-14 days before the start date of the earliest course for which Student has enrolled, Student must pay a transfer fee of $100, plus any unpaid tuition balance in full. (iii) If Student transfers on or before the start date of the earliest course for which Student has enrolled, Student must pay a transfer fee of $250, plus any unpaid tuition balance in full. (ii) If Student transfers 29 or fewer days before the start date of the earliest course for which Student has enrolled, Student must pay a transfer fee of $100. Notwithstanding the foregoing, Student shall not owe a transfer fee when transferring between Specialty Courses if the transfer occurs because of Student's failure to complete a 170-Hour Online Course or In-Person Course with a passing grade before the Specialty Course start date. (D) Taxes. Student shall be responsible for all sales, use, and excise taxes, and any other similar taxes, duties, and charges of any kind imposed by any federal, state, or local governmental entity on any amounts payable by Student hereunder. All intellectual property rights, including copyrights, patents, patent disclosures, and inventions (whether patentable or not), trademarks, service marks, trade secrets, know-how, and other confidential information, trade dress, trade names, logos, corporate names, and domain names, together with all of the goodwill associated therewith, derivative works and all other rights (collectively, "Intellectual Property Rights") in and to all documents, work product, and other materials that are delivered to Student under this Agreement or prepared by or on behalf of ITA in the course of performing the Services, including any items identified as such in the Order Confirmation (collectively, "Deliverables") shall be owned by ITA. All non-public, confidential or proprietary information of ITA, including, but not limited to, trade secrets, technology, information pertaining to business operations and strategies, and information pertaining to other students, customers, pricing, and marketing (collectively, "Confidential Information"), disclosed by ITA to Student, whether disclosed orally or disclosed or accessed in written, electronic, or other form or media, and whether or not marked, designated, or otherwise identified as "confidential," in connection with the provision of the Services and this Agreement is confidential, and shall not be disclosed or copied by Student without the prior written consent of ITA. Confidential Information does not include information that is: (i) in the public domain; (ii) known to Student at the time of disclosure; or (iii) rightfully obtained by Student on a non-confidential basis from a third party. (A) Student may participate in activities outside of the United States. Student may be called upon to exercise great care for his or her own person and belongings. Student has informed himself or herself of the conditions in the countries and locations where Student will be during participation in an ITA course and has also consulted with appropriate medical personnel and has determined that his or her health is adequate to participate safely in Student's course. Student understands that ITA is a training organization and recognizes that participation in any course is voluntary. (B) Student recognizes that ITA does not assume any responsibility for injury, sickness, personal health, or death, loss, or damage to property while Student participates in an ITA course, including travel to, from, and during the course. (C) Student may encounter difficult conditions and may be subjected to hazards and risks, foreseen and unforeseen. These hazards and risks may cause or alleged to be caused by a variety of difficulties of travel or residing in locations away from the Student's residence or by individuals either affiliated with or not affiliated with ITA. (D) If Student is traveling outside of Student's home country in connection with the Services, ITA strongly advises Student to purchase travel, medical, and trip cancellation insurance. ITA has no responsibility for Student's loss or theft of personal belongings. (E) Student acknowledges that Student is solely responsible for arranging and paying for Student's travel, housing, meals, and other ancillary services and expenses associated with Student's use of the Services, and that Student may utilize any travel service it desires. Student agrees to indemnify and hold ITA harmless for any and all losses associated with Student's travel, housing, and meals. (F) Student shall: (i) cooperate with ITA in all matters relating to the Services; (ii) respond promptly to any ITA request to provide direction, information, approvals, authorizations, or decisions that are reasonably necessary for ITA to perform Services in accordance with the requirements of this Agreement; (iii) provide such materials or information as ITA may reasonably request, carry out the Services in a timely manner, and ensure that such materials or information are complete and accurate in all material respects; and (iv) obtain and maintain all necessary licenses and consents (including, without limitation, visas and travel permits) and comply with all applicable laws in relation to the Services before the date on which the Services are to start. (G) If ITA's performance of its obligations under this Agreement is prevented or delayed by any act or omission of Student, ITA shall not be deemed in breach of its obligations under this Agreement or otherwise liable for any costs, charges or losses sustained or incurred by Student, in each case, to the extent arising directly or indirectly from such prevention or delay. (A) nUnless Student notifies ITA otherwise in writing, Student hereby irrevocably permits, authorizes, grants, and licenses to ITA and its affiliates, successors, and assigns, and their respective licensees, advertising agencies, promotion agencies, and fulfillment agencies, and the employees, officers, directors, and agents of each and all of them ("Authorized Persons"), the rights to display, publicly perform, exhibit, transmit, broadcast, reproduce, record, photograph, digitize, modify, alter, edit, adapt, create derivative works, exploit, sell, rent, license, otherwise use, and permit others to use my name, image, likeness, and appearance, voice, professional and personal biographical information, and other personal characteristics and private information, and all materials created by or on behalf of ITA that incorporate any of the foregoing ("Materials") in perpetuity throughout the universe in any medium or format whatsoever now existing or hereafter created, including but not limited to, in and on magazines, brochures, and other print publications, electronic, magnetic, and optical media, motion pictures, television broadcast, cablecast, and satellite, home video and video on demand, radio broadcasts, display, point-of-sale, and other advertising and promotional materials, press releases, the internet and other digital transmission or delivery methods, mobile applications, on any platform and for any purpose, including but not limited to advertising, public relations, publicity, packaging, and promotion of ITA and its affiliates and their businesses, products, and services, without further consent from or royalty, payment, or other compensation to me. (B) To the fullest extent permitted by applicable law, Student hereby irrevocably waives all legal and equitable rights relating to all liabilities, claims, demands, actions, suits, damages, and expenses, including but not limited to claims for copyright or trademark infringement, infringement of moral rights, libel, defamation, invasion of any rights of privacy (including intrusion, false light, public disclosure of private facts, and misappropriation of name or likeness), violation of rights of publicity, physical or emotional injury or distress, or any similar claim or cause of action in tort, contract, or any other legal theory, now known or hereafter known in any jurisdiction throughout the world (collectively, "Claims") arising directly or indirectly from the Authorized Persons' exercise of their rights under this Agreement or the production, exhibition, exploitation, advertising, promotion, or other use of the Materials, and whether resulting in whole or in part by the negligence of ITA or any other person, covenant not to make or bring any such Claim against any Authorized Persons, and forever releases and discharges the Authorized Persons from liability under such Claims. Student understands that ITA is relying on this Agreement and will incur significant expense in reliance on this Agreement, and Student agrees that this Agreement cannot be terminated, rescinded, or modified, in whole or in part. ITA HEREBY DISCLAIMS ALL WARRANTIES, EITHER EXPRESS, IMPLIED, STATUTORY, OR OTHERWISE UNDER THIS AGREEMENT, INCLUDING, WITHOUT LIMITATION ALL IMPLIED WARRANTIES OF MERCHANTABILITY, FITNESS FOR A PARTICULAR PURPOSE, TITLE, AND NON-INFRINGEMENT, WHETHER BY COURSE OF DEALING, COURSE OF PERFORMANCE, USAGE OF TRADE, OR OTHERWISE. (A) IN NO EVENT SHALL ITA BE LIABLE TO STUDENT OR TO ANY THIRD PARTY FOR ANY LOSS OF USE, REVENUE OR PROFIT OR LOSS OF DATA OR DIMINUTION IN VALUE, OR FOR ANY CONSEQUENTIAL, INCIDENTAL, INDIRECT, EXEMPLARY, SPECIAL OR PUNITIVE DAMAGES WHETHER ARISING OUT OF BREACH OF CONTRACT, TORT (INCLUDING NEGLIGENCE) OR OTHERWISE, REGARDLESS OF WHETHER SUCH DAMAGES WERE FORESEEABLE AND WHETHER OR NOT ITA HAS BEEN ADVISED OF THE POSSIBILITY OF SUCH DAMAGES, AND NOTWITHSTANDING THE FAILURE OF ANY AGREED OR OTHER REMEDY OF ITS ESSENTIAL PURPOSE. (B) IN NO EVENT SHALL ITA'S AGGREGATE LIABILITY ARISING OUT OF OR RELATED TO THIS AGREEMENT, WHETHER ARISING OUT OF OR RELATED TO BREACH OF CONTRACT, TORT (INCLUDING NEGLIGENCE) OR OTHERWISE, EXCEED THE AGGREGATE AMOUNTS PAID OR PAYABLE TO ITA PURSUANT TO THE APPLICABLE ORDER CONFIRMATION GIVING RISE TO THE CLAIM. In addition to any remedies that may be provided under this Agreement, ITA may terminate this Agreement and all Services, including without limitation by terminating Student's right to participate in any course, to refuse admission to any course, and to eject Student from a course, with immediate effect upon written notice to Student, (a) if Student fails to pay any amount when due under this Agreement; (b) if Student's conduct is deemed by ITA to be disorderly or disruptive, (c) if Student uses abusive language, or (d) if Student otherwise fails to perform or comply with any of the terms of this Agreement. No waiver by ITA of any of the provisions of this Agreement is effective unless explicitly set forth in writing and signed by ITA. No failure to exercise, or delay in exercising, any rights, remedy, power or privilege arising from this Agreement operates or may be construed as a waiver thereof. No single or partial exercise of any right, remedy, power, or privilege hereunder precludes any other or further exercise thereof or the exercise of any other right, remedy, power, or privilege. ITA shall not be liable or responsible to Student, nor be deemed to have defaulted or breached this Agreement, for any failure or delay in fulfilling or performing any term of this Agreement when and to the extent such failure or delay is caused by or results from acts or circumstances beyond the reasonable control of ITA including, without limitation, acts of God, flood, fire, earthquake, explosion, governmental actions, war, invasion or hostilities (whether war is declared or not), terrorist threats or acts, riot, or other civil unrest, national emergency, revolution, insurrection, epidemic, lock-outs, strikes or other labor disputes (whether or not relating to either party's workforce), or restraints or delays affecting carriers or inability or delay in obtaining supplies of adequate or suitable materials, materials or telecommunication breakdown or power outage, provided that, if the event in question continues for a continuous period in excess of 30 days, Student shall be entitled to give notice in writing to ITA to terminate this Agreement. Student shall not assign any of its rights or delegate any of its obligations under this Agreement without the prior written consent of ITA. Any purported assignment or delegation in violation of this Section is null and void. No assignment or delegation relieves Student of any of its obligations under this Agreement. This Agreement is for the sole benefit of the parties hereto and their respective successors and permitted assigns and nothing herein, express or implied, is intended to or shall confer upon any other person or entity any legal or equitable right, benefit, or remedy of any nature whatsoever under or by reason of this Agreement. All matters arising out of or relating to this Agreement are governed by and construed in accordance with the internal laws of the State of Illinois, U.S.A. without giving effect to any choice or conflict of law provision or rule (whether of the State of Illinois, U.S.A. or any other jurisdiction) that would cause the application of the laws of any jurisdiction other than those of the State of Illinois, U.S.A.
Any legal suit, action or proceeding arising out of or relating to this Agreement shall be instituted in the federal courts of the United States of America or the courts of the State of Illinois, U.S.A., in each case located in the City of Chicago and County of Cook, and each party irrevocably submits to the exclusive jurisdiction of such courts in any such suit, action, or proceeding. Notwithstanding the foregoing, any controversy or claim arising out of or relating to this contract, or the breach thereof, may, at the sole option of ITA, be settled by arbitration administered by the American Arbitration Association in accordance with its Commercial Arbitration Rules, in which case the location of the arbitration shall be the City of Chicago, Illinois, the number of arbitrators shall be one, and judgment on the award rendered by the arbitrator may be entered in any court having jurisdiction thereof. In the event that any claim, suit, action, or proceeding is instituted or commenced by either party hereto against the other party arising out of or related to this Agreement, the prevailing party will be entitled to recover its reasonable attorneys' fees and court and arbitration costs from the non-prevailing party. All notices, requests, consents, claims, demands, waivers, and other communications hereunder (each, a "Notice") shall be in writing and addressed to the parties at the addresses set forth in the Order Confirmation or to such other address that may be designated by the receiving party in writing. All Notices shall be delivered by e-mail at info@internationalteflacademy.com. Except as otherwise provided in this Agreement, a Notice is effective only upon receipt of the receiving party. Provisions of this Agreement, which by their nature should apply beyond their terms, will remain in force after any termination or expiration of this Agreement including, but not limited to, the following provisions: Confidentiality, Governing Law, Submission to Jurisdiction/Arbitration, and Survival. If Student is younger than 18 years of age all references to Student shall include his or her parents or guardian. EACH PAGE OF THIS TERMS AND CONDITIONS MUST BE INITIALED AND RETURNED IN ITS ENTIRETY. EACH PAGE OF THIS TERMS AND CONDITIONS MUST BE INITIALED AND RETURNED IN ITS ENTIRETY TO INTERNATIONAL TEFL ACADEMY. * This is a link to the Registration Documents. This registration form is to be filled out as part of the Registration Documents. You can pay for your class with your admission advisor or via our online payment option. All students should read our Registration Procedure prior to enrollment and payment.